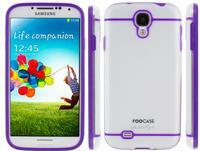 PC Micro Store offers up to 40% off a selection of rooCASE Slim Case Covers for Samsung Galaxy S4. Plus, coupon code "40OFFSAMS4" cuts an extra 40% off, dropping prices as low as $7.77 with free shipping. PC Micro Store offers the rooCASE eXTREME Hybrid TPU Shell Case for iPhone 5 in eight colors,for $11.88. Coupon code "50OFFIPH5XTR" drops it to $5.94 with free shipping. Coupon expires after 1,000 uses. 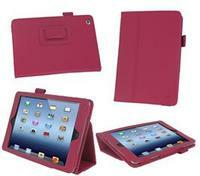 PC Micro Store offers the rooCASE Fuse Snap-On Shell Case for Apple iPad Mini in five colors, for $15.80. PC Micro Store offers the rooCASE Vegan Leather Folio Case for iPad mini in 15 styles for $9.90. Coupon code "IPDMINI50OFF" drops it to $4.95 with free shipping. Coupon expires after 5,000 uses. PC Micro Store offers the rooCASE Fuse Snap-on Shell Case for 5th-generation Apple iPod touch in five colors for $11.99. Use coupon code "TOUCH5FUSE50" to drop it to $5.99 with free shipping. PC Micro Store offers the rooCASE Ultra Slim Gloss Shell Case for iPhone 5 , model: RC-IPH5-S1-G-BK, for $14.92. Coupon code "IPH5S1GGETSLG" drops it to $10.95 and bags a free rooCASE Ultra Slim Gloss Slider Shell Case for iPhone 5 with free shipping. Coupon expires after 2,000 uses. 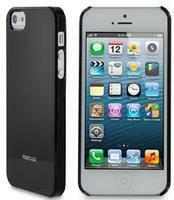 PC Micro Store offers the rooCASE eXTREME Hybrid TPU Shell Case for iPhone 5 for $11.88. Coupon code "50OFFIPH5XTR" drops it to $5.94 and bags free shipping. 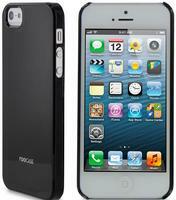 PC Micro Store offers the rooCASE Ultra Slim Gloss Shell Case for iPhone 5, model: RC-IPH5-S1-G-BK, for $14.92. Coupon code "IPH5S1GGETSLG" drops it to $10.95 with free shipping. PC Micro Store takes 40% off its PCMS CAT6e cable orders of $4 or more via coupon code "CAT640OFF". PC Micro Store cuts up to 72% off tablet accessorieswith free shipping on most orders. Coupon code "10OFFTABLET" takes an extra 10% off. PC Micro Store cuts $5 off tablet accessory purchases of $15 or more via coupon code "5OFFTABLET" with free shipping on most orders. This sale includes accessories for the Apple iPad, iPad 2, the new iPad, BlackBerry PlayBook, Motorola XOOM, and Samsung Galaxy Tab. PC micro store takes $5 off an order of $25 or more via coupon code "pcmicro$5off". Plus, bag free shipping on most items. This discount is limited to 1,000 redemptions. 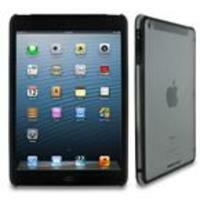 PC Micro Store offers the rooCASE Slim-Fit Case for Apple iPad 2 in Black (pictured), White, or Pink for $14.95. Coupon code "IPD2SHELL" drops it to $9.87 with free shipping. PC Micro Store again takes 40% off its PCMS CAT6e cable orders of $4 or more via coupon code "CAT640OFF" with free shipping on most items. After the discount, 5-foot cables cost $2.40, 7-foot cables cost $3, 10-foot cables cost $3.60, and 20-foot cables cost $4.80, among others. Coupon expires after 1,000 redemptions. PC Micro Store cuts $5 off tablet accessory purchases of $15 or more via coupon code "5OFFTABLET". Combined with free shipping on most orders. This sale includes accessories for the Apple iPad, iPad 2 and the new iPad, BlackBerry PlayBook, Motorola XOOM, and Samsung Galaxy Tab. PC Micro Store takes up to 66% off its entire selection of Young Micro Digital Camera Batteries. Plus get an extra 50% off via coupon code "YMDCA50OFF". Most orders qualify for free shipping. One highlight is the Young Micro Canon NB-2L Li-Ion Digital Camera Battery (pictured), model: YM-NB2L, for $9.95 before the above coupon, $4.97 with free shipping. PC Micro Store cuts up to 50% off cables and accessories. Coupon code "CABLE30OFF" takes an extra 30% off with no minimum purchase required. Combined with free shipping for most cables and accessories. Dealmoon recommends: this PCMS 1-Foot RJ45 CAT5E Molded Network Cable in Purple, model: 1CAT-PURPLE, for 70 cents after the above coupon with free shipping. PC Micro Store chops up to 77% off select iPhone 4 accessories. Even better, coupon code "20OFFIP4G" takes an extra 20% off. Dealmoon recommends: the rooCASE Blue Hibiscus Silicone Skin Case for iPhone 4 (pictured) for $6.36 with free shipping. PC Micro Store offers a variety of rooCASE Cases for Apple iPhone 4 or 4S plus a screen protector and stylus for $14.98. Coupon code "RCIPH4S882" drops them to $8.84 with free shipping.